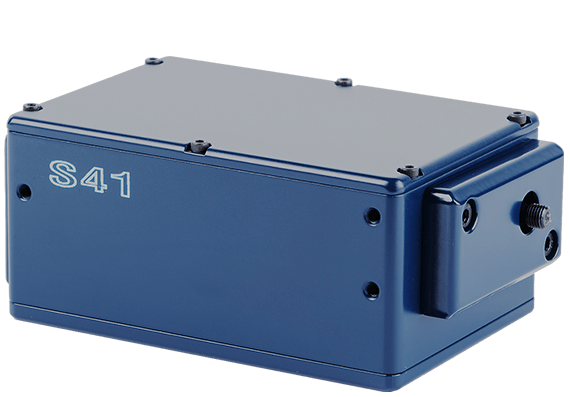 As a result of the above mentioned advantages, the S41 features low stray light and no astigmatism in the image plane, thus ensuring high S/N ratio and good overall system sensitivity at using a height-limited linear image sensor. The S41 comprises a built-in detector based on the Hamamatsu S8378-512 image sensor with the active area size of 12.8mm. The detector ensures excellent linearity, wide dynamic range and no modulation of broadband spectra. The S41 spectrometer is convenient and easy to use: it is calibrated by the manufacturer, does not contain any movable parts, is controlled and powered from the computer via the Full-Speed USB interface. The S41 can be triggered from your light source with standard TTL trigger pulses via the BNC-58 connector. 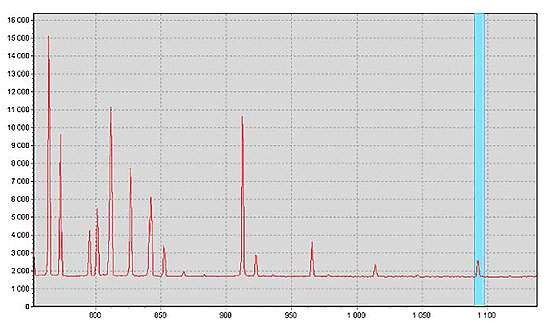 The S41 is able to produce TTL trigger pulses as well. The S41 delivery set contains a USB control cable, direct and reverse synchronisation cables and UV optical fiber. Light input with the optical fiber provides flexible arrangement of your instrumentation system. The S41 is able to operate without the optical fiber, with analysed light steered directly to its entrance slit. 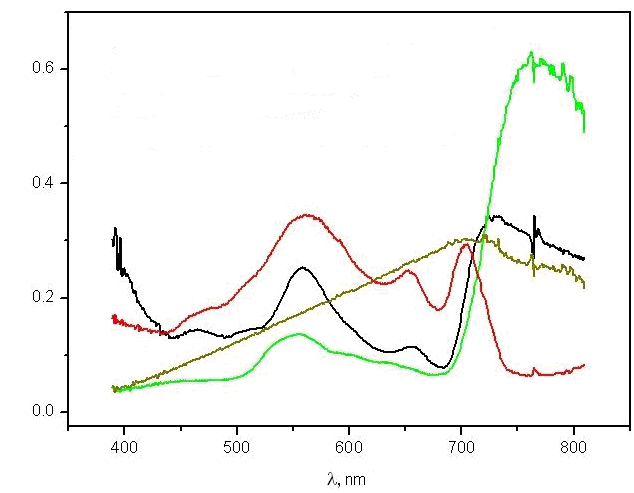 Spectral evaluation of light sources, etc. 1) For obtaining spectral parameters differing from the above, diffraction gratings with a different quantity of lines can be used. * Courtesy of Water Problems Institute, Russian Academy of Sciences, Southern Branch, Rostov-on-Don, Russia.